When heading to your dream summer vacation, you’ve got to dress the part. From Malibu to the Maldives, follow our guide that pairs a must-copy look to the most Instagram-worthy beaches of 2017. The Maldives is a classy joint, so stick to jet setting classics. 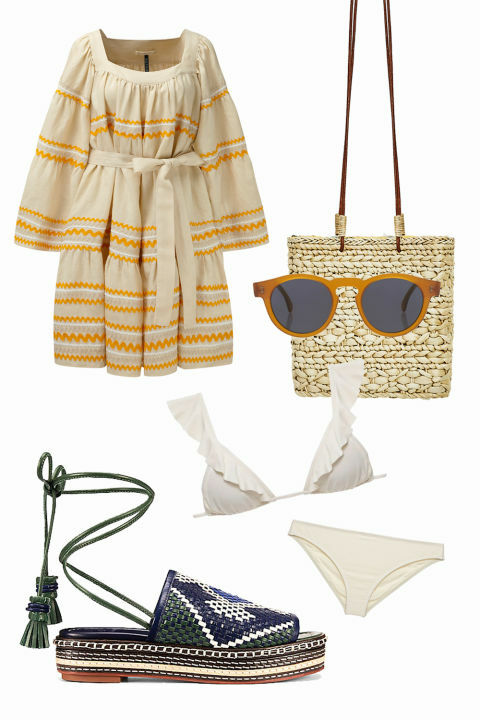 Slip on a chic one-piece and accessorize it with elevated versions of vacation accessories (like this macrame bag and pair of espadrilles). El Matador Beach reminds you that picturesque sea caves can indeed be found stateside. Enter chill mode by styling a distressed denim with a velvet bikini that rivals a certain Calabasas queen. Then make it boho with a 14k belly chain. Duh. When packing for the Caribbean ask yourself: WWRD (What Would Rihanna Do)? 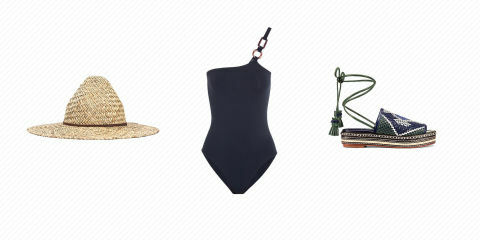 Take color to the max with a loud bikini, a fun pareo wrap, and unexpected accessories like a beaded anklet. This posh location is the ultimate beach destination. Keep it casual in a gauzy linen dress and fun sandals that can take you from the beach to a candlelit dinner. Duh, you’re in Brazil. Just grab the tiniest swimsuit and you’re set. Superbank is a surfer’s paradise, but here’s an outfit for when you’re not in a wetsuit. Rock this sporty bikini from Solid & Striped, but add a feminine touch with a slip dress and a straw hat.